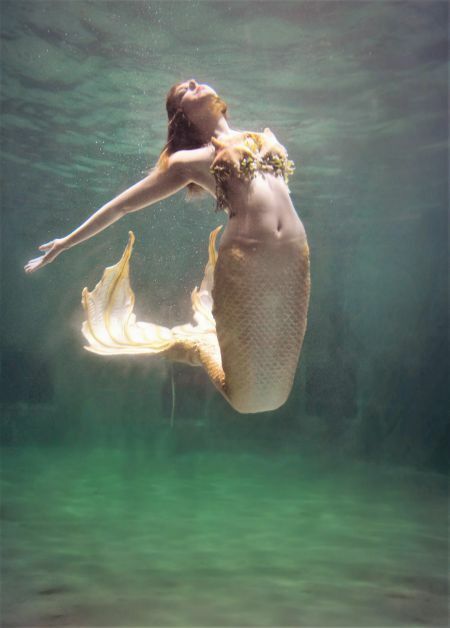 Halifax Mermaids, a subsidiary of Canadian Mermaids Inc., was founded in 2012 by Stephanie Brown, also known as Raina Mermaid, and her partner Sean Norman. 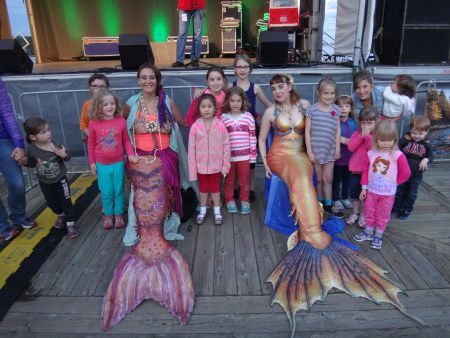 The organization currently employs five mermaids who attend events around Nova Scotia and two merwranglers who, among other things, help carry the mermaids to and from different locations. Along with private events, like birthday parties, the company also works with a variety of organizations and causes. These include the IWK Princess Teas, Save the Bedford Reef, Oceans Day at the Maritime Museum of the Atlantic and Dalhousie University. While in many instances, the company is hired in an entertainment capacity, they always to try teach children about the ocean, the creatures that live there and the damage that has been done to it. Topics that Brown and the other mermaids often cover include ocean conservation, ocean acidification and forms of pollution, while still encouraging the idea that mermaids exist. One of the more important messages the Halifax Mermaids try to spread these days is that people need to recycle plastic more often. According to sources like The Independent and Fortune, there are about eight million tons of plastic dumped into the ocean each year, a number that will increase tenfold by 2020. By 2025, the ocean’s plastic to finfish ratio is expected to be one ton of plastic to every three tons of fish. A lot of children have taken this message to heart. At one event, Marriott was talking to a group of children about recycling and reusing materials they might normally throw away. Her message turned into a project for one of the attendees. Brown had a similar experience after explaining ocean acidification to a group of children. In her talk she mentioned that because there is so much carbon in the ocean, it’s turning water into acid and killing off water-based animals and plants. However, coral and kelp absorb some of the carbon and help produce 75 per cent of the earth’s oxygen. Marriott finds they are not only showing kids how to save the ocean, but are showing them how to take control of a situation, even at a young age. 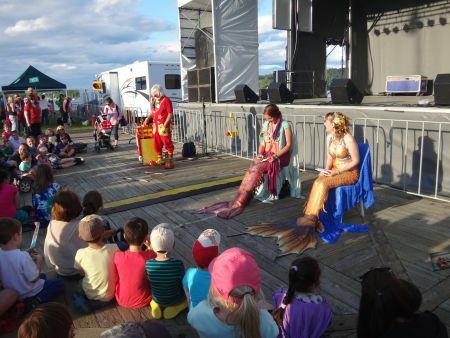 Not all of the events the mermaids attend are for entertainment proposes, sometimes they are hired to educate the public on the environment. Additionally, sometimes the audience is completely made of adults, so even if they are dressed up in their mermaid outfits, Brown, Marriott and the others take a more mature approach to their lessons. “We try to tell them that when your kids grow up this is what it [the ocean] will be like,” says Brown who sometimes uses images and videos to show older audiences what has already happened and can happen to ocean life if changes aren’t made. They also find that adults tend to connect to each other more than children do. 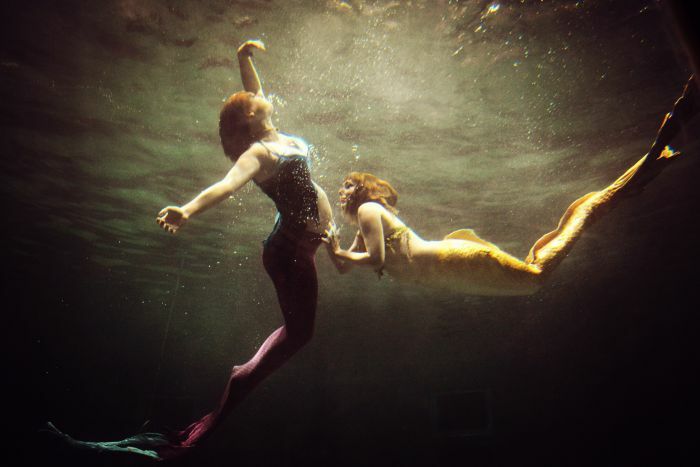 The Halifax Mermaids are more than just ocean ambassadors though, as they also practise what they preach. Once a mermaid gets a new tail, the old one isn’t thrown out. It’s given to one of the other mermaids, or kept in case an extra tail is needed. The group also makes sure that anything they sell is environmentally friendly, like monofins, which are made from recycled materials and packed with cardboard. “We don’t really have a carbon footprint,” says Marriott. After all, the term ‘mermaid’ is connected to the idea of protecting and advocating for ocean life.